This course does NOT provides the road test waiver! Experienced RiderCourse Skills Practice (BRC2SP) schedule at Heckscher State Park. This course is designed for experienced riders! 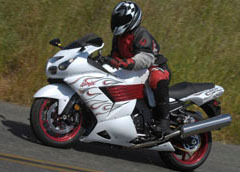 Riders must provide their own street-legal and safe motorcycle (no open pipes or loud exhaust) and be experienced riders holding a motorcycle license or learner’s permit. 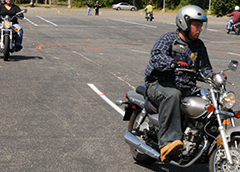 The Motorcycle Safety Foundation (MSF) Experienced RiderCourse Skills Practice (BRC2SP), is a one-day course for riders with basic skills, this class provides more in-depth riding techniques and procedures than practiced in the BRC. The course consists of activities that emphasize personal risk management and self-assessment strategies, and on-cycle excercises with emphasis in cornering, braking and swerving. 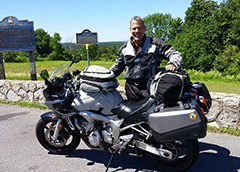 Prerequisites: A valid motorcycle permit, license, or endorsement. 5-hours of riding skills exercises. Provide your own motorcycle/scooter (no open pipes or loud exhaust).